Garlic crop is curing, and so is our mud oven! It's not done yet, but with one more Saturday we'll get a final plaster coat on it, and start digging the sand form and slowing firing it...with any luck, we'll be cooking pizza this weekend! It was a really fun process, led by our good friend Danjo Paluska. We had family and friends helping every step of the way. 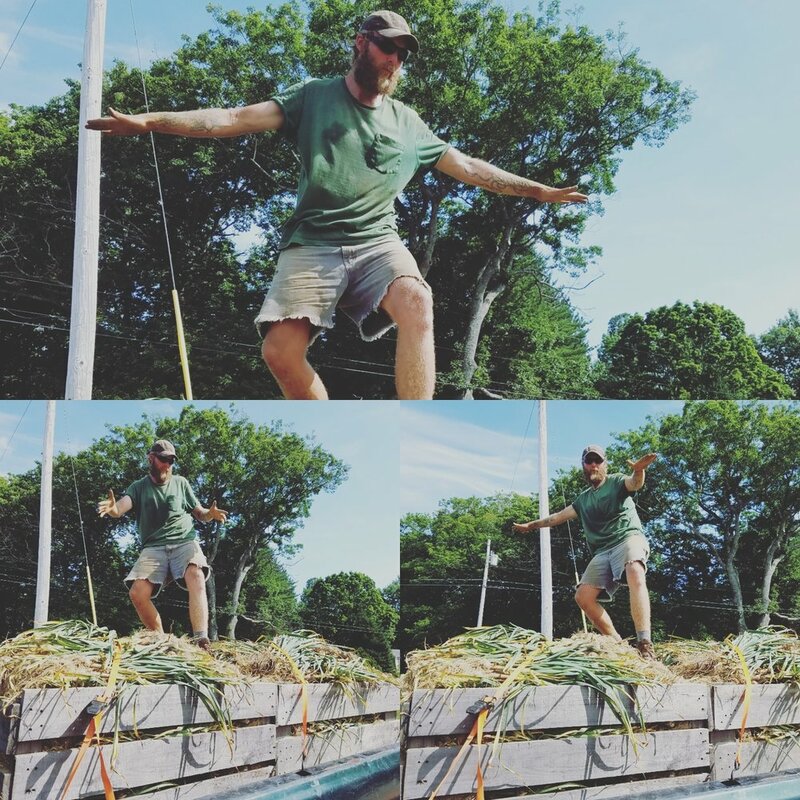 We sweated it out all week bringing in load after load of garlic, and when all was said and done, I celebrated on top of the last load! The crew got it all laid up to cure in the shade house, and there it will sit for a few weeks before we start trimming and grading it. In other news, raspberries are done but now tomatoes and blueberries are in! Summer keeps rolling on, and we're doing our best to keep up and enjoy every moment.